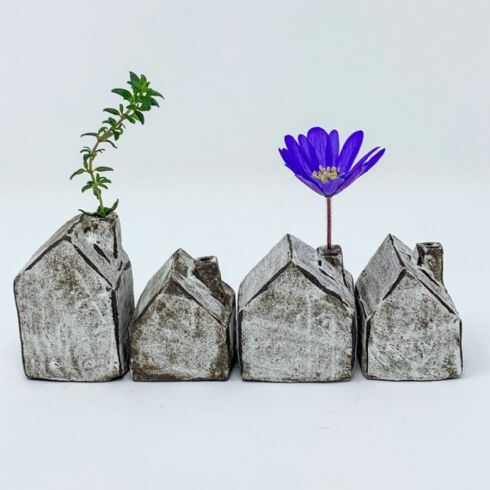 These adorable tiny houses by Hyeyoun Shin have been hand built from chocolate brown stoneware and then glazed with white underglaze. The chimney has been designed so that you can display a dried flower (flowers not included). Please note that these miniature houses are sold individually and as they are handmade, their size and shape may vary. Size(s): 3.5cm x 3.5cm x 3.5cm approx.